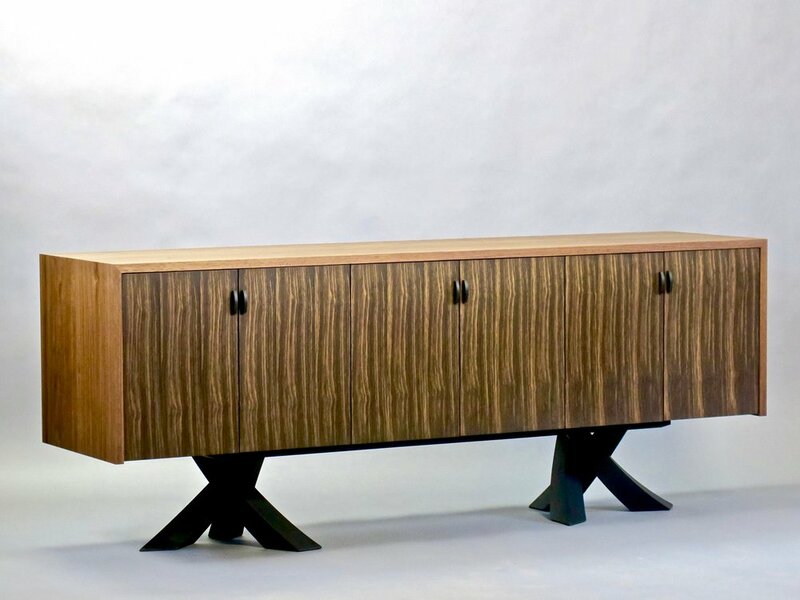 The Laguna credenza is a study in contrast and form. The rectilinear cabinet balances elegantly on six energetic legs full of movement. The doors feature the prominent rift sawn grain of 3000 year old bog oak which is framed by the walnut case. The cabinet is comprised of three compartments with adjustable shelves.